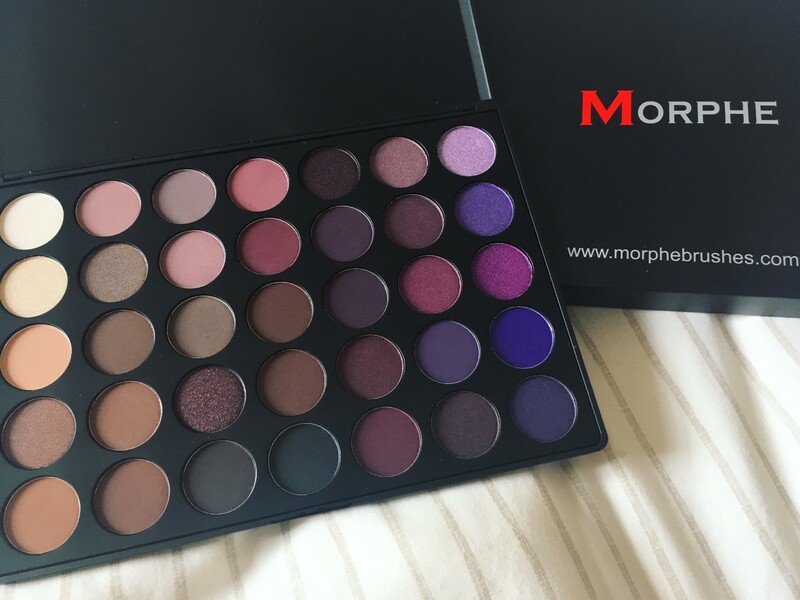 Guys, can we take a moment to appreciate this look – created using the latest addition to my makeup collection, the Morphe 35P 35 Colour Plum Palette. I’m not usually fond of my eyeshadow looks – I struggle to blend and find a pigment that stands the test of time, but I am thrilled with the results of this product. With a selection of gorgeous, rich colours to choose from and a fantastic pigment, which easily blends in an instant, this palette has gained my seal of approval, after just one use. I used three shades to create this intense look (labelled with numbers in this image) and can’t wait to show you all a selection of looks using the other colours, over the next few weeks! 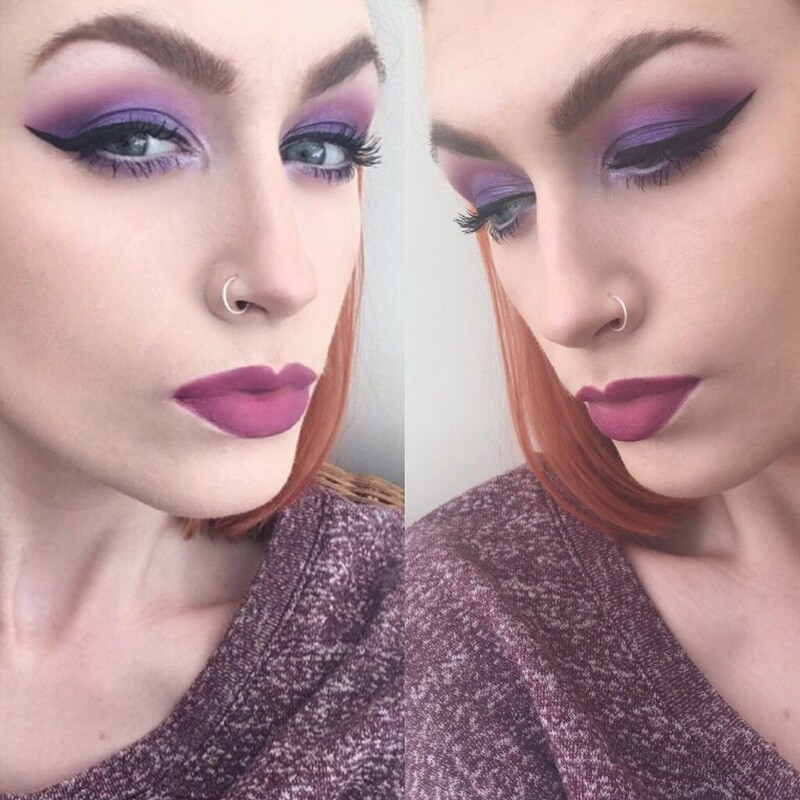 Number 1, a gleaming lilac shade, was used to highlight the corner of my eye, while number 2 (a vibrant pinky-purple tone) was applied above and along the cut-crease. 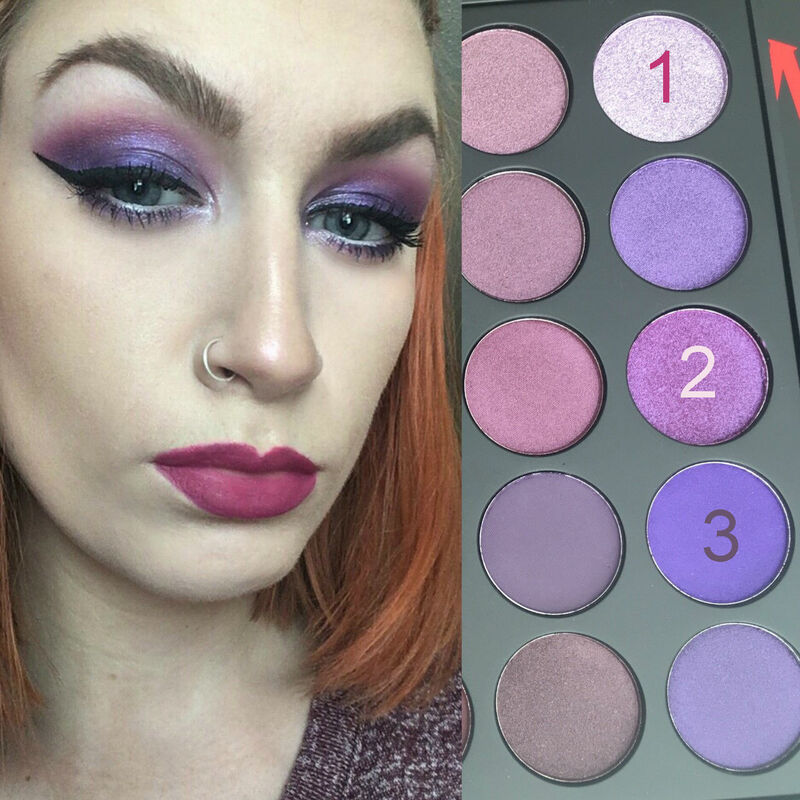 The look was completed by a layer of deep purple (number 3) along the lid, all blended together using my favourite Morphe brushes. Not forgetting, my go-to KIKO velvet passion lipstick and a gentle application of Anastasia Beverly Hills brow gel along the brows, plus my other usual products. I’d love to hear your thoughts! Please comment below and follow my blog today! Love that pallet! What a steal for just $22! You create a gorgeous look with it!